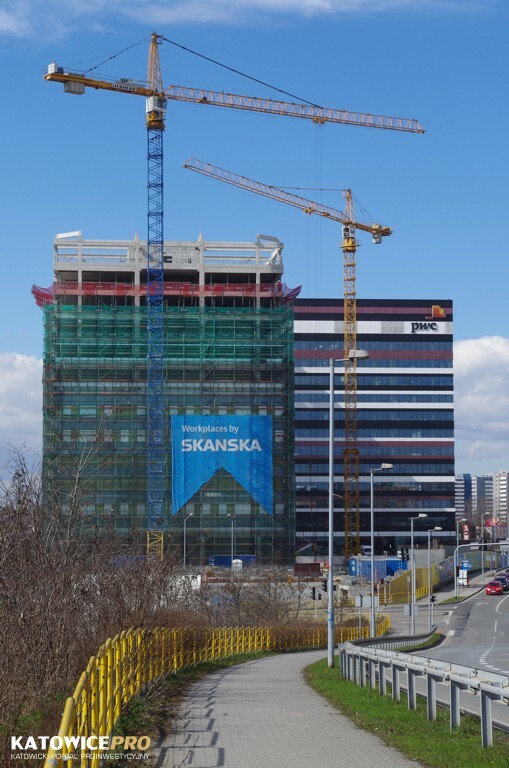 Skanska reached a construction milestone with the topping out of tower C, the third office building of Silesia Business Park. The facility is expected to be commissioned for use in the last quarter of this year. 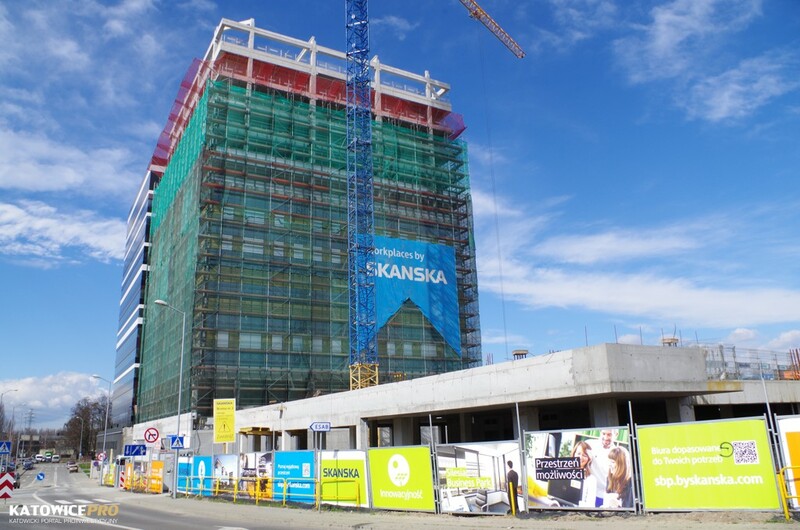 Skanska hoisted a wooden symbol to the top of the 12-storey office building, as is tradition when a building reaches its final height. 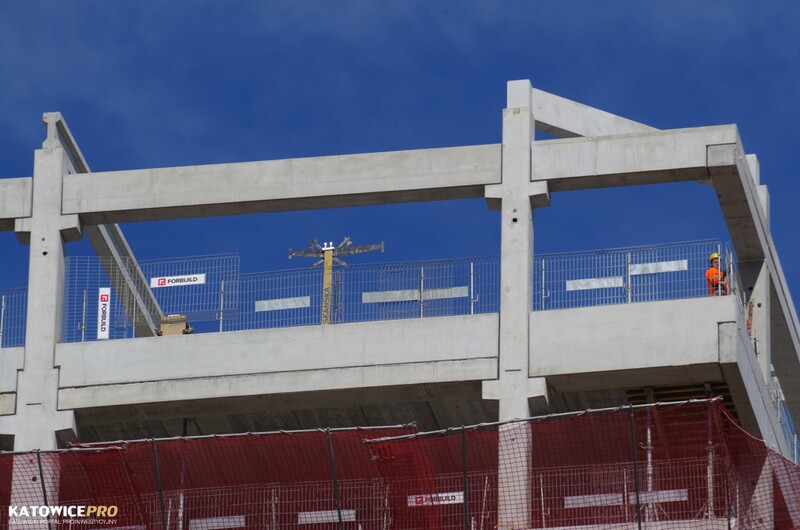 The height of each building from the garage level is 52 meters, the total height (from the ground) is over 59 meters. The construction of the tower involved 1 200 pre-fabricated elements including pillars, beams and pre-fabricated slabs. Elevation works on the third tower are underway as well as installation works inside. The elevation will consist of nearly 8 500 sq. meters of either glass and aluminum or euronit façade. It comprises 26 stripes: 13 black, 5 golden, 8 white. 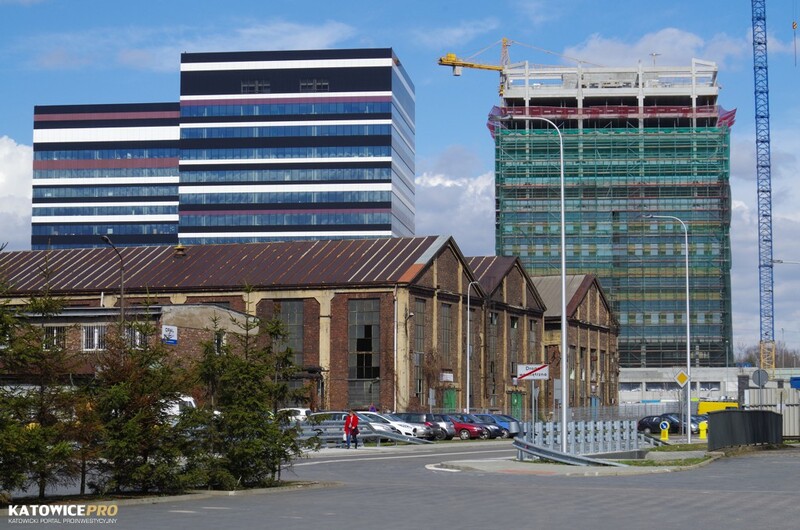 The office project is being erected at 146-152 Chorzowska St. 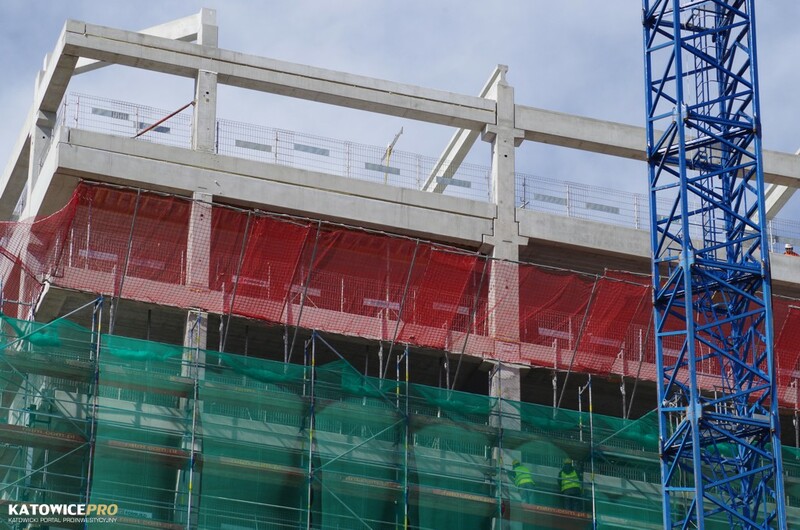 The first two buildings of SBP were already delivered in 2014 and 2015.